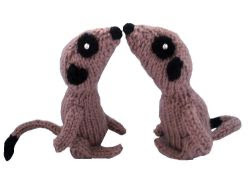 The little meerkats look a little anxious. Are they ready to leave their mum? "Don't worry, we can always fly over and fetch you back"
Come on then - let's go! 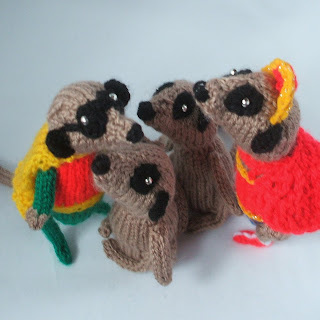 Wait a minute little meerkats...we STILL don't know where you're going. I was just going to add...have you noticed we have a fanpage?...and I then I noticed you'd noticed! 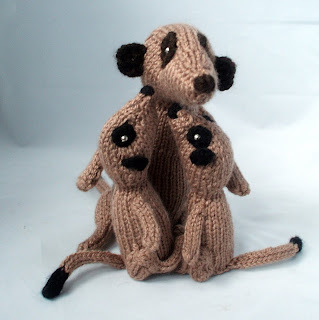 DOn't these little fellows need a male chaperon on their planned travels? They are adorable....hope their mom writes letters. It isn't so simple for mom to let her babies go explore the world! Wishing you a fun and joyful time! so exciting! I can't wait to hear their adventures! They are ready to fly!! I just know they are going to have some very funny adventures...can't wait!